A robust, mobile and powerful drying machine for use after extraction carpet cleaning. With its ergonomic handle and transport wheels the machine can be moved easily. 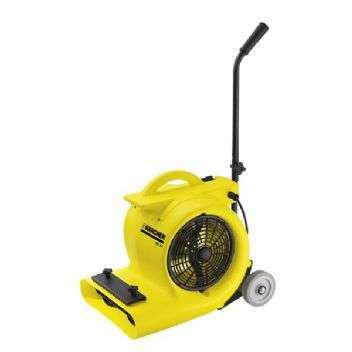 A powerful air blower that ensures fast dry time of carpets. Also suitable for construction drying and water damage in buildings. Robust impact-proof housing with integrated power cord storage. Ergonomic foldable handle and large transport wheels. Powerful radial fan and aerodynamic moulded housing. 3 speeds to suit various applications. Built-in carpet clip for loosely laid carpets.